Explore the benefits of green infrastructure in Portland, Oregon, where the city’s Grey to Green program is having a positive impact on the community. Take a look at how would-be champion eastern hemlock trees are bringing attention to a disease that’s wiping them out. And learn how a Missouri man’s efforts are helping to bring back an unusual tree species, once thought to have vanished from the landscape. The ongoing volunteer effort to create the midwest’s longest continuous hiking trail. Community-based conservation has affected the participants from grassroots organizers in their towns to federal bureaucrats in DC. 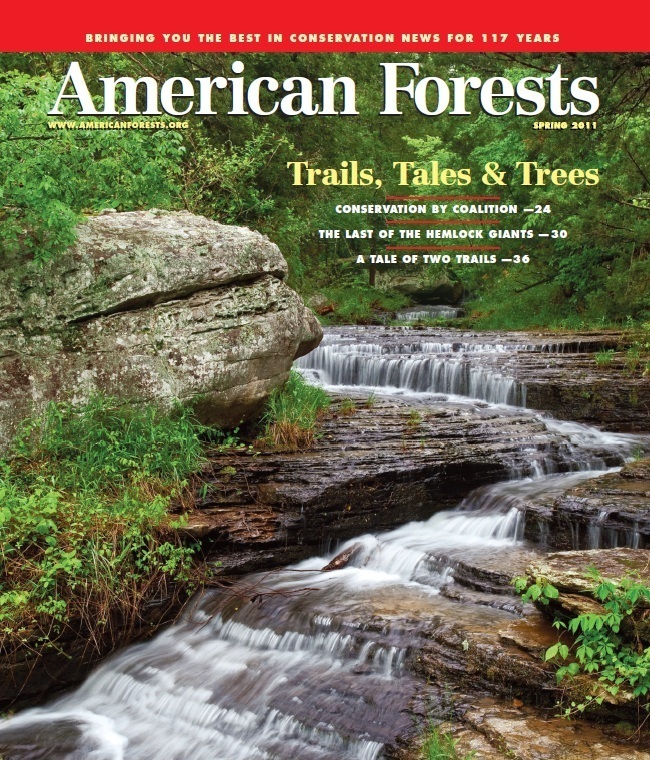 Documenting and saving the largest eastern hemlocks. As the natural gas industry finds resources in our nation’s forests, difficult choices between economy and environment must be made. The city of Portland, Oregon is planting tens of thousands of trees, adding green infrastructure to the traditional gray. One man’s crusade to save an Ozark Legend.